These Regional Guidelines have been adopted by the Regional Board of the American Youth Soccer Organization (AYSO) Region 213 (the "Region") located in Irvine, California pursuant to the authority granted to it in AYSO National Bylaw Section 1.03(a)(6). All components covered herein are subject to the National Bylaws of AYSO, the Articles of Incorporation of AYSO, the AYSO National Rules & Regulations, the Section 11 Guidelines, the Area Q Guidelines and the Policies adopted from time to time by the AYSO National Board of Directors (collectively, the "AYSO Regulations"). References to guidelines contained on other webpages on the Region's website (with home page at http://www.AYSOsoccerorg), as adopted by the Region 213 Board of Directors, are incorporated and included herein. Any issues not specifically addressed in these Regional Guidelines shall be governed by the AYSO Standard Regional Guidelines currently in effect. A complete copy of all AYSO Regulations and Regional Guidelines is available to any participant in the program by contacting the Regional Commissioner. All games shall be conducted in accordance with the current FIFA Laws of the Game and decisions of the International Board as modified by AYSO and in effect as of September 1, 2013 and these Regional Guidelines. The Regional Commissioner is authorized as the Region's sole Regional Executive Member as defined in Section 7, "Membership in the Region" below. The City of Irvine and the Irvine Unified School District (IUSD) issue permits to the Region for the use of city and school district fields and facilities. The permits grants the Region control of the fields during the permit allocations. As such, the referee and coach have authority (and are obligated under AYSO Safe Haven) to ask unauthorized individuals (unaffiliated with the Region) to leave the vicinity of the field for the protection of players. For games, the referee represents the authority for the Region. They are the authority from the moment the referee steps into the vicinity of the field and until the referee leaves the vicinity of the field. The standard AYSO program offered to Under-6 through Under-14 players is considered the Primary or Core Program. All references within these Regional Guidelines apply to the Primary Program unless specifically referencing one of the Secondary Programs. All other programs other than the Primary Program are considered secondary. Secondary Programs include Jamboree (for Under-5 players), VIP, AYSO FLEX (such as All-stars and Spring Select) and AYSO Extra. programs. 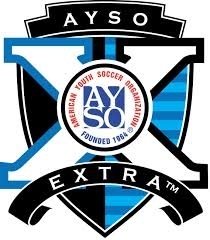 AYSO Extra is a Secondary Program designed for players who have the interest, skills and abilities and want to enhance their experience and individual growth through soccer while retaining the spirit of and organization membership in AYSO. AYSO Extra strengthens AYSO by recruiting and retaining players and volunteers through providing more competitive play the AYSO way. The Region has approved participation in the AYSO Section 11 Extra program. References to "AYSO Extra" in the remainder of these Regional Guidelines is synonymous with the AYSO Section 11 Extra Program. Area Q and Section 11 Playoffs: U9 through U14 Primary Program teams which win their respective divisions are given an opportunity to play the division winners from other Regions in Area 11Q in playoffs (typically held in December or January). The Area 11Q playoff winning teams play in the AYSO Section 11 Playoffs (typically held in February) (and Section 11 winners are invited to the Tri-Section playoffs). Area 11Q and Section 11 All-stars. All-stars are teams formed exclusively from players who participated in the Fall Primary Program – AYSO EXTRA players are not eligible to participate in All-stars. AYSO Region 213 participates in the Area 11Q and Section 11 All-stars program. Detailed information how AYSO Region 213 selects All-star coaches and forms All-star teams is defined in the Regional Guidelines. Area Q Spring Select. Area 11Q and/or Section 11 offers a Spring Season where players from the All-star and/or Extra teams participate. The rules, regulations and guidelines for team formation, coach certifications and governing play may be determined by the administering body (Area 11Q and/or Section 11). Region-specific criteria will be called out here (or by reference here) in the Regional Guidelines. 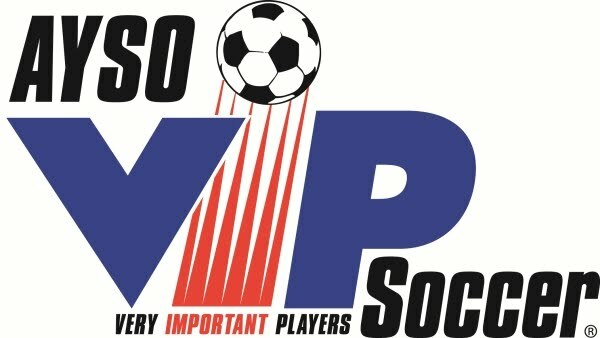 The AYSO VIP (Very Important Players) Program provides a quality soccer experience for children and adults whose physical or mental disabilities make it difficult to successfully participate on mainstream teams. For the 2013 Membership Year (MY2013), the Under-5 division is for players with date of birth 8/1/2008 between and 7/31/2009. For MY2013, the Under-6 division is for players with date of birth between 8/1/2007 and 7/31/2008. For MY2013, the Under-7 division is for players with date of birth between 8/1/2006 and 7/31/2007. For MY2013, the Under-8 division is for players with date of birth between 8/1/2005 and 7/31/2006 if there is a U-7 division (or if it is "true U-8" only) or, otherwise, between 8/1/2005 and.7/31/2007. For MY2013, the Under-9 division is for players with date of birth between 8/1/2004 and 7/31/2005. For MY2013, the Under-10 division is for players with date of birth between 8/1/2003 and 7/31/2004 if there is a U-9 division or, otherwise, between 8/1/2003 and 7/31/2005. For MY2013, the Under-12 division (players with date of birth between 8/1/2001 and 7/31/2003. For MY2013, the Under-14 division (players with date of birth between 8/1/1999 and 7/31/2001. For MY2013, the Under-16 division (players with date of birth between 8/1/1997 and 7/31/1999. For MY2013, the Under-19 division (players with date of birth between 8/1/1994 and 7/31/1997. AYSO, like other soccer organizations, determines what division a player participates in based on their age on July 31 of the current year. The Membership Year goes from August 1 of the current year through July 31 of the following year. Therefore, MY2013 runs from August 1, 2013 through July 31, 2014. Players registered for the Fall Season with AYSO Region 213 are registered with AYSO for the entire Membership Year. Seasons other than Fall Season may require an additional fee for a player to participate; However, a player registered for the Fall Season in AYSO Region 213 will normally pay less to participate in subsequent seasons since the AYSO fees for this player have already been paid by AYSO Region 213. To enhance the enjoyment of the game by players, coaches and spectators, the Region is specifying the following Coaches and Spectators Areas for all Region games. The Coaches and Spectator Areas define and restrict participation to certain areas on the field for Core Program games. In general, the spectators and coaches are along the Touchlines. No spectators (or coaches) shall be allowed to remain (whether standing or sitting) behind the Goal Lines. Any "photographer" wishing to stand/sit outside of the Spectator Area shall secure the referee’s prior approval. AYSO FLEX and AYSO Extra games may involve teams from other Regions traveling to play in the Region. If applicable, then the AYSO Section 11 and Area Q guidelines defining the Coaches and Spectators Areas shall govern. These Regional Guideline definitions for the Coaches and Spectators Areas shall govern in the absence of Section 11 and/or Area Q guidelines for them. For U-7 and U-8 Divisions: The Coaches Area extends between the top of the Goal Areas where the tops of the Goal Areas are the lines parallel to the Goal Lines. Coaches shall remain one (1) yard or more off the field of play. The Spectators Area also extends between the top of the Goal Areas where the tops of the Goal Areas are the lines parallel to the Goal Lines. Spectators shall remain three (3) yards or more off the field of play. For Under-9 and older Divisions: The Coaches Extends ten (10) yards on either side of the Halfway Line, along the Touchline and one (1) yard or more off the field of play. An easy reference for coaches is to limit their distance along the touchline with the tips of the center circle. Game Points - The outcome of each game determines how many Game Points are awarded to the team. Referee Points - The Region has a Referee Points System for the competitive divisions of the Core Program. Volunteer Referees are rewarded - with Referee Points - for being the referee or assistant referee for a game scheduled in the Region. See the Referee Points System for details on how teams earn Referee Points. Sportsmanship Points - The Region has a Good Sportsmanship program. Teams can be penalized for poor sportsmanship and rewarded for good sportsmanship. Total Points - As the name implies, Total Points is the sum of Game, Referee and Sportsmanship Points. Everyone Plays - Our Region's goal is for kids to play soccer so we mandate that every player on every team must play at least half of every game. Balanced Teams - Each year we form new teams as evenly balanced as possible because it is fair and more fun when teams of equal ability play. Open Registration - Our program is open to all children between 4 and 18 years of age (before the start of the Membership Year) who want to register and play soccer. Good Sportsmanship - We strive to create a safe, fair, fun and positive environment based on mutual respect, rather than a win-at-all-costs attitude, and our program is designed to instill good sportsmanship in every facet of AYSO. To pay the National Office the national player fee and all amounts due with respect to the Region’s purchases from the National Office within the payment guidelines established by the national treasurer. To cooperate in policies and procedures developed by the Board or the National Office with respect to requiring each coach, referee, and other designated volunteers to complete a volunteer form, and with respect to verifying the information obtained, before permitting the coach, referee or such volunteer to participate. Executive Member: The Region is a Charter Region. The duly nominated and approved Regional Commissioner shall be the Region's Executive Member as long as the individual holds that position. Pursuant to AYSO National Bylaws Section 3.03, the Regional Commissioner may not hold more than one position within the AYSO Organization which is an Executive Membership position and such memberships shall not be transferable. All youth who exhibit a sincere interest in soccer and who have become registered as a participating player pursuant to the Rules & Regulations of the Organization. All Region volunteers, other than executive members, who become registered with the Organization, including all Regional administrators, coaches, and referees. Honorary Members: those other persons to whom the Regional Board grants membership to recognize a contribution of value to the Region or to express its gratitude. No one will be considered a Participating Member unless and until an application is submitted to the Region using the appropriate forms prescribed by AYSO and the application is accepted and entered into the AYSO business system by the Region. The names, addresses and telephone number of all members of the Region, as well as the information contained in the AYSO Executive Member Directory or any AYSO database are private and confidential. Such information and mailing lists or access to any AYSO database may not be disclosed or distributed to anyone, including any vendor or sponsor, without the prior written approval of the National Executive Director. The Regional Commissioner, with the support and assistance of the Regional Board, shall conduct the business and affairs of the Region. The Regional Commissioner does not have to be the parent of a player participating in a Program in the Region. The Regional Commissioner shall serve a term of three years, subject to the terms of approval set forth by the National Board of Directors . The Regional Commissioner may serve multiple terms so long as he or she is nominated and appointed, as indicated below, for each term. It is the general policy of the Region that the Regional Commissioner will have normally served at least one year on the Regional Board before serving as Regional Commissioner. It is the general policy of the Region that the Regional Commissioner not serve as a coach or assistant coach, nor hold any other board or staff position in the Region, except with the approval of the Regional Board. Where the Regional Commissioner or other Regional Board member also serves in another volunteer capacity, the Regional Board shall, at a minimum, adopt special procedures to insure that decisions affecting the Regional Commissioner acting in such other capacity are made by other, disinterested board members. The Regional Commissioner shall act in all other ways to avoid the appearance of a conflict of interest. The Regional Commissioner may be suspended by the Area Director or the Section Director and suspended or removed by the National Board of Directors in accordance with Sections 3.07 and 7.03 of the National Bylaws. At least three months, and preferably six months, before the expiration of the Regional Commissioner’s term, or whenever there is a vacancy in the Regional Commissioner position due to death, resignation or removal, the Regional Board shall assemble a nominating commission. The nominating commission shall submit its recommendations of one or more candidates for the position of Regional Commissioner to the Regional Board. The Regional Board shall, by a majority vote, nominate a Regional Commissioner and forward such nomination to the Region’s Area Director as directed by National Bylaw Section 7.03. In the event of a vacancy - including, yet not limited to, suspension by the Area Director or Section Director - in the position of Regional Commissioner other than at the expiration of the regular term, the Regional Board, including (if available) the outgoing (or suspended) Regional Commissioner, shall recommend an interim Regional Commissioner and submit such recommendation to the Area Director. The interim successor shall remain in office until the completion of the election procedures described in this paragraph. In addition to the Regional Commissioner, the Region requires a Regional Board Member for each of the following positions: Treasurer, Risk Management/Safety Director, Coach Administrator, Referee Administrator, Registrar and a Child and Volunteer Protection Advocate ("Required Regional Board Members"). Regional Board members need not be parents of players in the Region. The Regional Board may create, designate, appoint, or elect such other voting board, or non-voting staff, positions as the Regional Board may from time to time deem desirable. In addition, there may be such members-at-large as the board shall create. All members of a Regional Board understand and agree that they are fiduciaries of and owe a duty of loyalty to AYSO, and agree to be bound by its Bylaws, Policies, Rules & Regulations. Position descriptions for all positions may be found and downloaded from the AYSO Website, at http://www.ayso.org, the Region Website at http://www.aysosoccer.org, or may be obtained by contacting the Regional Commissioner. Every volunteer should have a copy of their position description, and current copies should be kept in the Region for succession planning purposes. Regional Board members serve a three (3) years term which begins six (6) months after the start of the Regional Commissioner's term. The 6-month overlap allows a new Regional Commissioner time to locate and nominate individuals for the Regional Board. Individuals can serve an unlimited number of consecutive terms as a Regional Board Member; there are no term limits. Any Regional Board Member (except the Regional Commissioner) may be removed by the Regional Commissioner at any time, for any reason and/or without cause. At any Regional Board meeting, the Regional Commissioner or a nominating commission shall present to the outgoing board a slate of candidates it deems worthy of consideration. By majority vote of the outgoing board members present and voting, the final list of board nominees shall be presented to the Regional Commissioner for appointment. The Regional Commissioner may choose not to appoint an individual to a board position, even though recommended and approved, if the Regional Commissioner deems there is sufficient reason not to make the appointment. In such case, the Regional Commissioner shall ask the nominating commission to recommend additional candidates for approval and appointment. This inclusive and democratic process should be followed any time there are Regional Board positions to be filled. An emergent or unplanned vacancy on the Regional Board before the expiration of the term, except that of Regional Commissioner, may be filled by an interim candidate nominated by a majority vote of the then remaining voting Regional Board members. The time, date and place of each regular meeting of the Regional Board is posted on the website calendar for all participants in the program to see. It shall be the policy of the Region to hold at least one board meeting in each month during the Fall season and at least one every two months during the remainder of the year. The Regional Board shall provide for the taking of minutes of the proceedings at each meeting and make them available to the members of the Region. All Regional Board meetings shall be open to all Participating Members unless the Regional Board determines that it is necessary to hold a "closed door" meeting. Closed door meetings shall be clearly identified on the website calendar. A closed door meeting is permitted only to review personnel matters, disciplinary matters or legal matters, and should not be used where a vote upon any issue involving the affairs of the Region is taken. The Regional Commissioner or 1/3 of the board members may call a special meeting of the Regional Board on three days’ prior notice stating the purposes of such meeting, which notice may be given in writing, by telephone or in person. A majority of the board members shall constitute a quorum for the purpose of holding either a regular or special meeting. Unless otherwise specifically provided by these guidelines, all decisions of the Regional Board shall be made by a majority decision of the voting Regional Board members voting on any such matter; provided, however, that the Regional Commissioner may veto any such decision if the effect of such decision would be to violate any of the national operating regulations. Such veto may be reviewed by the Area Director on request by a 1/3 vote of the board members voting on such matter. No Regional Board member or any other participant in the Region shall receive monetary or other compensation for his/her services to the Region, nor may he/she use his/her position to benefit him/her directly or indirectly in any other way, such as a supplier of equipment or camp programs to the Region. Nothing in this paragraph prohibits any Regional Board or staff member, or Regional volunteer, from being reimbursed for his or her out-of-pocket expenses incurred for work on behalf of the Region with the approval of the Regional Board. The Regional Board shall adopt an annual budget which provides the basis for setting player registration fees. At the end of each season, the Regional Board shall cause to be prepared a statement of income received and amounts expended in connection with the program. Such statement shall be made available for review by the parent or guardian of each player and a copy shall be made available upon reasonable request. This year’s budget and last year’s Statement of Income and Expenses are attached hereto as Appendices. All checks drawn on any bank account maintained by the Region shall bear two signatures, one of which must either be the Regional Treasurer’s or the Regional Commissioner’s. Additional signatories must be authorized by Regional Board action. Two signatories from the same household shall not be allowed. There must be at least three signatories on all Regional bank accounts. The Area Director should be, yet is not required to be, a signatory on all Regional bank accounts. All funds received by the Region, whether from fees, gifts or otherwise, must be deposited into the Region’s checking account. All expenses and disbursements must be paid out of the Region’s checking account. All funds transferred in or out of the Region’s savings account must be transferred from or to the Region’s checking account. No Regional expenses or reimbursements are to be paid from monies collected which have not first been deposited into, and accounted for within, the Regional checking account. Funds withdrawn for "cash box change" must be deposited back into the Regional bank account on the same day, or the first banking day thereafter. All registration fees collected in cash and checks must be reconciled to the bank deposit slip and the AYSO registration forms. Arrangements should be made to have the cash received deposited into the Regional bank account on the same day such cash is received, or the first banking day thereafter. When handling a significant amount of cash monies, at least two Regional volunteers should be present. A cash receipt book must be used to record all payments received on behalf of the Region in cash. The original cash receipt for each transaction must be given to the payer, and the copy kept in the cash receipt book. All cash receipts must be signed or initialed by the volunteer completing the cash receipt form. The cash receipt book must be reconciled to the bank deposit slip. The names of any other family member players for whom the payment was received; and (vi) the initials of the volunteer receiving such payment. No one should sign a Regional check in blank or which contains any item to be filled in later. No one should sign a Regional check without verifying the expense by examining the invoice or request for reimbursement. Regional debit and/or credit card accounts are expressly forbidden. Members may make authorized purchases using a personal credit card and submit receipts for reimbursement to the Region. No requests for reimbursement to Regional volunteers shall be honored without a written request signed by such volunteer, itemizing the out-of-pocket expenses incurred, and with supporting receipts or other documentation attached. All bills and invoices received for payment by the Region must be forwarded to the Regional treasurer for payment, if not already paid, within five (5) days of the receipt. The Regional Treasurer must be notified of any checks written on the Regional bank account without his or her knowledge within 48 hours of the issuance or delivery of such check for payment of any Regional expense. All bank withdrawal transactions and Regional checks shall be noted with the appropriate National Accounting Program (NAP) code denoting the purpose for such transaction. All fees collected on behalf of the Region for registration, sponsorships, fundraising, and donations or for any other purposes shall be deposited immediately after being reconciled with the appropriate cash receipt book, registration form, and/or bank deposit slips. Under no circumstances may any person accept on behalf of the Region any post-dated check or agree to hold any check for deposit on a later day. All Region accounts shall be reconciled by the Regional Treasurer, and verified by another board member who is not authorized to sign on the accounts. The reconciled statement(s) and copy of bank statement must be presented to each board member at their regularly scheduled meeting. If credit/debit cards are accepted for payment of registration fees, all required accounting shall be performed and submitted on the first banking day after each credit/debit card transaction. It is strongly recommended that each Region have a Regional Auditor. Additionally, the Region at all times shall cooperate with, and respond to, inquiries by the Area Auditor and Section Auditor. Conduct himself or herself in a manner becoming a member of AYSO. At all times, encourage clean competition and good sportsmanship. Train and coach their respective team to the best of their ability. Limit their sideline participation during AYSO games to positive instruction and encouragement. Negative comments about players or officials shall not be allowed. Coaches are reminded that Law 5 of the Laws of the Game grants the Referee the authority to dismiss team officials (coaches) without warning. Manage and control the sideline participation of spectators associated with their team. At all practices, scrimmages, team gatherings, and games, have in his/her possession, at the field (if applicable) the player registration form for each player on the team, properly signed by the parent or legal guardian of the player. Coaches are encouraged to make have original copies of the player registration forms available to the assistant coach and/or team administrator/parent in case of an emergency. Present a healthy, athletic environment for players by neither consuming alcoholic beverages nor smoking (or simulating smoking) nor using tobacco products during practices, games, or in the immediate vicinity of the soccer fields. Never criticize the decisions of officials and encourage all players and parents to act in a similar manner. See Referee Handling of Dissent and Abuse for information regarding Referee response to criticism and/or abuse. Never enter the field of play or allow a spectator to enter the field of play until authorized to do so by the Referee. Register as a volunteer each year. All Coaches must be certified as an AYSO volunteer in the current Membership Year and be authorized to coach a team in the Region by the Regional Coach Administrator. The Regional Coach Administrator may, at their sole discretion, deny or revoke a Coach’s authorization. Coaches are entitled to the Due Process procedures defined below prior to having their coaching authorization revoked by the Regional Coach Administrator. Place great emphasis on the welfare of the players and officiate the game in a manner inducing competition and good sportsmanship. 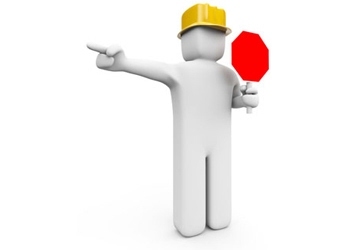 At his/her discretion stop the game to ensure the welfare of the player, even if the ball has not gone out of play if in his/her opinion, a player is injured. Uphold the Rules and Regulations of AYSO. Present a healthy, athletic environment for players by neither consuming alcoholic beverages nor using tobacco products (or simulating the use of tobacco products) during practices, games, or in the immediate vicinity of the soccer fields. Uphold and enforce the Laws of the Game. Participate in the Referee Points System. The Region has established a Referee Point System that will be used to qualify teams for participation in play after the regular component of the season. Register as a volunteer each year. All Referees must be certified as an AYSO volunteer each year and be authorized by the Regional Referee Administrator to referee games in the Region. The Regional Referee Administrator may, at their sole discretion, change a Referee’s authorization and all changes are final. Referees are entitled to the Due Process procedures defined below prior to being removed from the authorized Referee list by the Regional Referee Administrator. A certified, authorized Referee must volunteer on the Schedules to officiate all U-7 and older games. Wherever possible, two certified and authorized Assistant Referees in uniform shall volunteer to assist the Referee for U-9 and older games. In the event a game does not have a certified, authorized Referee signed up on the Schedules by 6:00 PM on the day before the match, then the match will be canceled and deleted from the Schedules. In the event the designated Referee does not appear to referee the match, then the match shall be canceled (not played) and the Home Team coach must report the canceled match to the Division Commissioner within twenty-four hours of the scheduled start time. Coaches are reminded they are not to scrimmage in this situation - no game of any kind shall be played if the designated referee does not appear. In the event the designated Referee is unable to continue the match due to injury or other any other reason, then the match shall be terminated. Any game which has been terminated by the Referee must be reported by the referee to the Regional Referee Administrator within twenty-four (24) hours of the termination. The Region's Referee Points System for the 2013 Fall Season impacts the U-9 through U-14 Primary or Core Program standings and is incorporated and included herein. CLICK HERE for to read the Region's Referee Points System. All coaches and officials should make every effort to make the games safe and fair for all players and spectators. In particular, in those rare cases where one team is substantially dominating the game, coaches should do all they can to minimize the chances of lopsided scores by adjusting the lineup accordingly. Few teams really like to win 10-0 and none like to lose 0-10. Slide tackles should be discouraged as a part of the game. They are often dangerous and lead to a high degree of injuries. The referee shall remain the sole judge in deciding which plays are fouls and whether or not a player merits a Caution (yellow card) or Send-off (red card) for misconduct. Good Sportsmanship is the cornerstone of the Region's soccer program. Consequently, the Region is defining a Good Sportsmanship program in these Regional Guidelines for use of participants in any program during any season the Region participates in. A brief explanation of how good sportsmanship was demonstrated. At the end of each week, the Regional Commissioner (or their designee) will highlight a story about a player, coach and/or any other person who demonstrates good sportsmanship in the Region;s email newsletter or on the website. At the end of the respective season, the Regional Commissioner (or their designee) will select and present to one or more individuals Great Sportsmanship of the season award(s). No dogs or other pets - except for service dogs - are permitted within the vicinity of the field during games or practices. This policy is for: 1) the safety of players, spectators and volunteers; 2) for the enjoyment of everyone at games and practices; and, 3) because it keeps the focus on the kids. Coaches are reminded it is their responsibility to remind spectators and to enforce this policy on their sideline. Referees may have to suspend a match until a dog or pet has been removed from the vicinity. If the person who brought the dog or pet refuses to remove the animal from the vicinity, then terminate the match -- do not allow someone to defy this policy. In some cases, a field might have a sidewalk to help define what is in the vicinity. Dogs may be on the sidewalk or on the other side of the sidewalk as long as they do not present a safety hazard or concern for the participants (including players, coaches, referees and spectators) of the game or practice. Every year the referees have to deal with more dissent (a challenge to the Referee’s authority) and abuse by spectators and coaches. In an attempt to deter dissent and to provide consistent handling of sanctions and discipline, the following guidelines have been added to these Regional Guidelines. An serious offense violates the fundamental mission of AYSO and requires strong action. Discipline may include, but is not limited to, suspension for the season, suspension for multiple seasons, "rehabilitation" (e.g. taking the child/volunteer protection training, taking referee training, referee a set number of games, or other remedial education and training), or expulsion of the person and/or their child from further participation in AYSO. All players sent off the field of play (in accordance with Law 12 of the current FIFA Laws of the Game as modified by AYSO) by the referee shall not participate in the remainder of the game and shall not be replaced. Such players shall be allowed to remain on the sidelines, provided they do not, in the opinion of the referee, further disrupt the game. Any player who “celebrates” a caution [yellow card] with teammates or exhibits behavior which, in the opinion of the referee, indicates he/she is celebrating having received a caution, shall be considered guilty of “unsportsmanlike” conduct and thus shall be subject to a second caution leading to immediate send off [red card]. Such decision will be at the sole discretion of the referee. All players shall have the right to participate in all games in accordance with the minimum playing requirements. No coach may prevent a player from participation in a game, or portion thereof, without the Region’s prior approval. While the Region recognizes that discipline is a key ingredient to a successful team, any coach who experiences difficulties in this area with one or more players on his/her team, should discuss the matter with the Regional Child and Volunteer Protection Advocate (CVPA) prior to implementing disciplinary action. Coaches and spectators should note that the use of yellow [caution] and red [send off] cards are limited to players. If, in the opinion of the Referee, a coach or any spectator (Subject) on their sideline behaves irresponsibly though dissent or verbal abuse by word or action, then Referee must acknowledge and deal with it. Coaches and spectators are reminded the Referee’s Authority includes before and after the game – the Referee is the Authority once they enter the vicinity of the field and ends once they leave the vicinity of the field. Acknowledgement. The Referee notifies the Subject they heard or saw the dissent and/or abuse and they didn’t like it. The notification can be a brief comment or a gesture to acknowledge the inappropriate misbehavior. Warning. If the dissent or abuse is serious or if it is persistent, then the Referee suspends the match and warns the Subject that any repeat offence will result in a dismissal. Dismissal. A repeat offence which requires the Referee to suspend the match to deal with dissent or abuse shall result in the Subject being expelled/dismissed from the match. Any serious verbal abuse (e.g. using offensive, insulting, or foul language or repeated incidents of less serious abuse) or any threat directed towards a referee by a spectator or coach or shall result in the immediate dismissal of the coach from the match without warning. Asking the referee about a call or complaining about a call in earshot of the Assistant Referee or the Referee - whether it is directed at the referee or not - is considered dissent and shall result in the appropriate step in the 3-step process. Neither the coach nor the spectators are entitled to an explanation of the call. The Referee team makes a decision, signals for the proper restart, and play resumes. If the Assistant Referee hears the dissent or abuse, then they will report this to the Referee at the next, best opportunity. The Referee shall issue any warnings or dismissals. Referees are reminded to avoid confrontation with coaches. All dissent/abuse incidents reported to the Regional Referee Administrator are handled through the Disciplinary Review Process described below. A one (1) game/week suspension for the first offense of dissent or abuse of a referee (serious, repetitious dissent to provoke an argument, criticism or demeaning language but which does not include offensive, insulting, or foul language). A two (2) game/week suspension for repeat offenses or serious verbal abuse of a referee (e.g. using offensive, insulting, or foul language or repeated incident of less serious abuse). A four (4) game/week suspension for stepping onto the field (uninvited by the referee) or other threat toward a referee (by word or by action). Immediate and sincere remorse on the part of the offender may be taken into account by the Disciplinary Committee when determining whether a lesser level of sanction should be applied. Egregious offenses (e.g. repeated or multiple abusive situation, physical contact with a youth referee, or exceptionally inappropriate misbehavior directed toward a referee) shall result in immediate and continuing suspension of the offending person pending a Disciplinary Review. The Regional Commissioner and/or Review Panel will determine if further, or more serious, discipline is warranted. A suspended person may not, during their suspension, attend a game of the team where the offense occurred; that adult may attend other children's games in other age groups. A suspended coach may not, during the suspension, attend any game for the team at whose game the misconduct occurred. The coach may attend practices of that team and games of other teams unless notified of additional restrictions by the Regional Commissioner. These sanctions apply only to the discipline of adult spectators or coaches. This policy does not apply to AYSO players or youth (under age 18) spectators. These sanctions do not limit, prevent, or replace any voluntary or required report or referral of improper conduct, by any adult toward any child, to any law enforcement or child protection agency. Any player sent off – or volunteer, parent or other member of AYSO Region 213 who is dismissed from -- the field of play is subject to disciplinary sanctions and is automatically suspended from participation at any future game until such time as the Disciplinary Review Process has been completed. Referees must report all player misconduct (Cautioned and Sent-off Players) and/or coaches or spectators dismissed from the field for misbehavior to the Regional Referee Administrator within twenty-four (24) hours of the game. Any coach or other adult participant who is sent off the field of play or subject to any other disciplinary action may, at the Regional Commissioner’s discretion, be prevented from coaching (either as “head” or “assistant”) a FLEX or FLEX Extra team such as All Stars, Spring Select and/or next year's FLEX Extra team. If a coach or assistant coach has already been selected for a FLEX or FLEX Extra team, then the Regional Commissioner can, at their discretion, rescind the offer and/or remove the coach or assistant coach from the team. Any player sent off the field of play three (3) or more times may, at the Regional Commissioner’s discretion, may be prevented from participation on a FLEX (such as All-stars) or FLEX Extra team regardless of whether he or she has already been selected for such a team. The Disciplinary Review Process described below is consistent with the current AYSO National Office recommended Due Process Flow Chart available (at the time of this writing) by clicking: HERE. All incidents or issues (the "matters") being reported to the Regional Commissioner are sent in writing (where email is deemed sufficient to be "in writing"). The Subject is not entitled to see the reports submitted to the Regional Commissioner. The Subject is notified, in writing, by the Regional Commissioner the matters were referred to him/her and asks the Subject to also submit a report in writing to them. Regional Commissioner Decision Point 1: Is there a threat to the program? Regional Commissioner Review 1: Yes, there is an immediate threat to the program. The Regional Commissioner may act immediately and deliver discipline. The Regional Commissioner reviews the matters and delivers notice of discipline(s)/sanctions(s) along with an opportunity for the Subject to request, in writing, a Review of the decision(s)/sanction(s). Did the subject request a Review? Yes, a review was requested, go to Assemble a Review Panel below. No, there is no immediate threat to the program. Regional Commissioner Review 2: The Regional Commissioner reviews the matters and delivers notice of discipline(s)/sanction(s) along with an opportunity for the Subject to request, in writing, a Review of the decision(s)/sanction(s). Did the subject request a Review? Assemble a Review Panel. The Regional Commissioner can decide to assemble a Review Panel to review the matters and to recommend discipline(s)/sanction(s). The Regional Commissioner forms a Review Panel and appoints a Chair. The Review Panel Chair notifies the Subject, in writing, a Review Panel has been assembled and requests information be submitted, in writing, to them. The Review Panel conducts the Review Proceeding and considers all input (written and in person). The Review Panel reviews in private to form a recommendation and submits their recommendation to the Regional Commissioner. What did the Review Panel recommend to the Regional Commissioner? Regional Commissioner Decision Point 3A: What does the Regional Commissioner decide to do with the Review Panel’s recommendation of no discipline/sanctions? The Regional Commissioner decides to ignore the recommendation, imposes discipline/sanctions and notifies the Subject’s of their decision and the Subject's right of appeal. Recommends Discipline(s)/Sanction(s). The Regional Commissioner approves or amends the recommended discipline(s)/sanction(s, sends notice (in writing) to the Subject of the decision(s)/sanction(s) and the Subject's right of appeal. Appeal Process. The Area Director reviews the procedures and decision to determine whether Due Process was provided. Did the AD uphold the original decision? Yes. The AD communicates their decision to uphold the original decision to both the RC and the Subject. The matter is closed. The discipline/sanctions are arbitrary or capricious. The Regional Commissioner evaluates the Area Director's decision to determine what is needed to satisfy due process and takes appropriate steps. If approved, then the Region 213 Concurrent FLEX Extra program. Games - Games for the 2013 Fall Season for all divisions will begin on or about September 7, 2013 and end with the last game on or about November 16, 2013. Picture Day - A Picture day will be tentatively scheduled near the last weekend of September or the first weekend of October. The Division Commissioner will contact each coach and provide him/her with the assigned time for his/her team. The tentative location of Picture Day is Harvard Community Park on soccer field D.
Practices - All practices – except for AYSO Extra – may begin, subject to field availability, on or about Monday of the third full week in August. AYSO Extra may begin practices, subject to field availability, on or about the first full week in August. Additional Training - For the MY2013 Fall Season, the Region 213 might, yet is not obligated to, provide additional training delivered by AYSO Soccer Camps. If available, then these additional AYSO Soccer Camps training sessions delivered for a specific team or group of teams is considered a practice. For Winter 2014, the Region will offer a pilot program for U-8 only (no U-7) players. A description of the U-8 Transition program for Winter and Spring Seasons is described below. Games - Games for the 2014 Winter Season for all divisions will begin (subject to field availability) on or about the second weekend of January and end with the last game on or about the last weekend in February. Practices - All practices – except for All-stars – may begin, subject to field availability, on or about the first full week in January. Winter All-stars teams may begin practices, subject to field availability, on or about the last week of November. Tri-Area U-16 and U-19 recreational program. The Region 213 Concurrent FLEX Extra program is not offered during the Spring Season. Games - Games for the 2104 Spring Season for all divisions will begin on or about the first weekend in March and end with the last game on or about the third weekend in May. No games are played on the weekend of Easter and the same weekend as the Section Conferences. Games might be scheduled for both the weekend before Spring Break begins and after Spring Break ends. Games scheduled for these days will not be rescheduled due to a lack of players. A team not able to field the minimum number of players shall forfeit this match. Or, if both teams cannot field the minimum number of players, then the game will be indicated as "Not Played." Practices - All practices – except for Spring Select – may begin, subject to field availability, on or about the last full week in February. Spring Select teams may begin practices, subject to field availability, on or about the first full week in January. Additional Training - The Region 213 might, yet is not obligated to, provide additional training delivered by AYSO Soccer Camps during the 2014 Spring Season. If available, then these additional AYSO Soccer Camps training sessions delivered for a specific team or group of teams is considered a practice. No Fields - The city of Irvine closes all fields for renovation during the summer. The city does not offer any fields to the Region for use by teams for practices or games from Memorial Day until late in July. As a reminder, no Extra team coaches should be holding organized practices during the Summer Season. Summer Camp - The Region may, yet is not obligated to, deliver summer camps pending field availability from the city of Irvine and availability of an approved supplier to deliver the summer camp(s). Teams with five (5) players on the roster => two (2) or more players together with a coach or trainer; Teams with six (6) to nine (9) players on the roster => four (4) or more players together with a coach or trainer; or Teams with ten (10) or more players on the roster => six (6) or more players together with a coach or trainer. Failure of a player to participate in practice shall not be a valid reason to limit the player’s participation in a game. No "optional" practices, "lesson" meetings or other such gatherings intended to "coach" soccer to a team shall be permitted. However, a team may substitute one or more practices per week with such meetings or special gatherings intended to "coach" soccer off the field. All teams shall observe their allocated practice slots, fields, and parks. In particular, teams should refrain from practicing in "open areas" of parks not allocated to them. A weeknight game shall be considered one practice session towards the maximum two (2) practice sessions per week. Coaches are reminded that the limitations on practice times are intended to create a fair and balanced program for all participants. While practicing each week for periods longer than specified in these guidelines may be of substantial benefit to that select few who are afforded the opportunity, in the long run, such policies are detrimental to the remainder of the participants by creating an "uneven playing field." Any team found to practice in violation of these guidelines may forfeit the game immediately following each week where a violation has taken place. All teams shall make reasonable efforts to adjust their assigned practice slots on fields without lights, such that all teams are afforded at least one hour of daylight per practice session. When Pacific Standard Time becomes effective, those teams practicing on unlit fields may be required to change their practice slot. Socks must fully cover the shin guards. To fully cover the shin guards, the shin guards must be under the socks and not on top of the socks with the sock folded over the shin guard. Shin guards fully covered by socks are mandatory at all games, practices, and scrimmages. No jewelry of any kind (including rings, chains, any kind of bracelet, or earrings) may be worn at games, practices, and scrimmages. Earrings must be removed – placing tape over them is not acceptable. Players shall not be allowed to practice or participate in any game with any type of cast or splint, regardless of how well padded it may be. If the cast or splint is removable, such cast or splint may be replaced for the duration of the game with "tape," and the player may, with the referee’s permission in the case of a game, participate. Players may not wear anything that, in the opinion of the referee, is dangerous to themselves or other players. Regulation soccer shoes, gym shoes, or sneakers (with or without rubber cleats) are permissible in all AYSO competitions. Shoes with a toe cleat (as used in baseball or football) are not allowed. The player’s name (first or last) shall not be affixed to any exterior part of the uniform. Face or hair paint shall be permitted, provided that all team members make use of it in a like manner, and provided that such does not depict any racial, ethnic, national, or religious preference; nor, in the opinion of the referee, distracts members of the opposing team. No hats, bandannas, or other head covering/gear may be worn during games with the exception of head coverings due to religious or cultural reasons which, in the opinion of the referee, are not a hazard to the player or to other players. Prescription glasses may be worn. It is highly recommended, yet not required, they have a strap to keep them in place. All players shall tuck jerseys into shorts at game time and shall keep them tucked in for the duration of the game. In addition, all uniform shorts shall be worn in the manner intended, with no "bagging" or "low hanging" appearance being permitted. No ties or other means of holding shirt sleeves up are allowed. No player on the field, with the exception of the goalkeeper while he/she is playing in that position, may wear knee pads. Depending on weather conditions, players are allowed to wear long sleeve shirts or "bike" shorts under the regulation uniform. Such additional clothing should be of a color matching the uniform colors as closely as possible. Wherever possible, teams may not setup on the same side of the field. In some situations -- such as U-5 and U-6 where small-sided fields are laid out inside of full-size soccer fields -- spectators must remain outside of the full-size soccer field. For these situations, the teams will strive to select to setup on one half of the available space. In all cases, the "home" team (the first one listed in the game schedule) shall choose a side, with the "visiting" team taking the other. All teams are encouraged to make a team banner and bring it to all games. Such banner shall conform and be similar in nature to all other banners in the Region and be in good taste. The Regional Commissioner reserves the right to decide a banner is inappropriate and to prevent a team from using it. Team names shall be appropriate, positive and encouraging. They shall not include any religious, racial, ethnic grouping, or nationality terms or expressions. All team names are subject to the prior approval of the Division Commissioner and Regional Commissioner. No music or other noise making -- beyond positive and encouraging cheering -- shall be permitted before, during, or after any game or practice. Coaching sideline participation shall be limited to two coaches from each team and they shall be limited to the Coaches’ Area. All teams shall be responsible for cleanup of fields in the area occupied during games. Be limited to positive, instructional, and encouraging comments. Be limited to the Spectators' Area. Not include coaching or tactical advice by non-coaches outside the designated Coaches Area. Not include negative comments or criticism of officials and/or players. All coaches shall be held accountable for the behavior of spectators and may be subject to disciplinary action by the Referee (including being sent off the field of play) due to poor behavior on the part of parents of player on his/her team. If a spectator has been warned by the referee -- whether the warning is direct or indirect through the coach -- and continues to misbehave (in the opinion of the referee), then the coach and/or spectator may be dismissed from the field. The referee shall suspend the match until the dismissed coach and/or spectator have completely left the vicinity of the field where leaving the vicinity means the individual can no longer see the field (or be seen by the referee from the field) and/or spectate the game in any way. If the coach has been dismissed and no assistant coach is available, then any registered (in the current Membership Year) volunteer with AYSO Safe Haven training can step in as the coach for the remainder of the match. If no replacement can be found, then the match is terminated and the referee shall file a report in accordance with the Discipline and/or Sanctions section below. Coaches and/or spectators dismissed by a referee shall not be a spectator and/or participate in any future games and/or practices until the circumstances for the dismissal have been reviewed, decisions have been made and/or sanctions have been issued. The Region prohibits smoking (and the simulation of smoking) of any kind, the use of any tobacco products (including chewing tobacco) or the consumption of alcohol at or within reasonable proximity to any AYSO activity including practices, games, clinics and camps. Any person dismissed from the field by a Referee for violation of this prohibition shall not return to the AYSO activity and the Referee shall file a report in accordance with the Discipline and/or Sanctions section below. Team assignments of players shall be made by those persons delegated such task by the Regional Commissioner. http://www.aysosoccer.org/coaches/team-formation-balancing. The Team Formation and Balancing Guidelines are, by reference, included and a part of these Regional Guidelines. Changes to the Team Formation and Balancing page are subject to the same restrictions as changing these Regional Guidelines. http://www.aysosoccer.org/coaches/changing-teams. The Changing Teams Guidelines are, by reference, included and a part of these Regional Guidelines. Changes to the Team Formation and Balancing page are subject to the same restrictions as changing these Regional Guidelines. No player shall be allowed to participate in a game, practice, or scrimmage, unless the coach has in his/her possession, at the field of play, the player’s registration form as presented to him/her by the Region at team pass out and duly signed by the parent or legal guardian of the player (where an electronic signature is sufficient); or unless the player’s parent or legal guardian is present during the entire time that the player is participating in such game, practice, or scrimmage. No exceptions of any kind shall be permitted. Availability of these registration forms at game time is the responsibility of the coach. Any team which plays an ineligible player shall automatically forfeit the game and be awarded no points, regardless of the final score of the game. Any team with a player on its roster who was transferred without approval as defined in Player Transfers above shall be considered as having played an ineligible player. Therefore, the team shall forfeit all games played with the ineligible player. Any team with a player not properly registered shall be considered as having played an ineligible player and shall forfeit all games played with the ineligible player. At least three-quarters (3/4) of the game before any player (on the team) can play the entire game. All registered players participating on an AYSO FLEX, AYSO Extra or in any other Secondary program other than the Core Program (in attendance at the beginning of a game), are entitled to play at least half (1/2) of the game. To ensure players receive the playing time they are entitled to, each Coach shall present the Referee with a completed lineup card prior to the beginning of the game. A completed Line Card lists all players – whether they are present for the game or not – in increasing player jersey number order. The Line Card is part of the Referee’s match report and shall be retained by the Referee. Players substituting must report to the referee or assistant referee. The referee cannot designate a club linesman responsible for recording substitutions. Substitution breaks for the U-7 through U-14 divisions are approximately midway through the first half, approximately midway through the second half and at the beginning of the second half of the game. The referee shall look for a natural stoppage in the game (that is any one of: throw-in, goal kick, kick off, corner kick, free kick other than a penalty kick, or drop ball), temporarily suspend play and allow for player substitution to take place. The referee does not stop his/her watch for substitutions midway through either half for all U-9 and older divisions; the referee does stop his/her watch for substitutions midway through either half for the U-7 and U-8 divisions. Substitution breaks for the U-5 through U-8 divisions are determined by time. Play will stop when time reaches midway through the half and/or at the end of the half (and not at a natural stoppage in play). If a substitute arrives after the beginning of the game and during the first half, then they are entitled to play at least half of the game as specified in Section 16.6.3., Playing Time, above. If a substitute arrives after the start of the second half and before the last substitution break, then the player must be substituted onto the field of play at the mid-half substitution break. If the substitute arrives after the last substitution break, then the coach can, with the referee's permission, replace a player who has met all of the other playing time requirements with the substitute for the remainder of the game. Recently, Section 11 and Area Q have piloted "open" or "managed" substitution programs where managed substitution means a coach may substitute players at a normal stoppage in play (with the referee’s permission). AYSO Region 213 supports managed substitution and will encourage divisions to use open substitution if Section 11 and/or Area Q offers managed substitution to the Regions. The referee shall be the sole judge on whether the game shall be stopped to attend to the injured player. All referees are strongly encouraged to always keep the welfare of the injured player foremost in their minds when making a decision on whether the game shall be stopped immediately or at the next natural stoppage. No persons (which include coaches, assistant coaches, parents, or other players) shall enter the field of play to attend to the injured player(s) without the referee’s approval. In such cases, only the coach and an adult of the same gender as the player if the coach is a different gender than the player shall be permitted onto the field. The referee may allow additional persons onto the field, if in his/her opinion the nature of the injury so warrants. The referee is not required to stop the clock during an injury. No player shall be allowed to remain on the field of play if he/she has blood on any exterior part of his/her body, including bloodstains on uniforms unless moving the player may further injure the player. In the event of any injury during play, which results in bleeding, the referee shall immediately stop play. If possible, then the referee shall send the player to the touchline and request that the bleeding be controlled in such a way that no blood is visible or exposed. The player may not return to the field of play until the referee is satisfied that blood is either no longer present on the skin or clothing of the player, or has been neutralized with a disinfectant. Any player or volunteer who becomes injured in the course of a game or practice shall be reported to the Safety Director by reporting the injury on the Region’s website. The applicable paperwork shall be completed regardless of whether additional medical attention is necessary, as required by National Bylaws. No player who becomes injured may return to the team for either practice or a game without the Safety Director’s prior approval. Any team who plays a previously injured player without the prior approval of the Safety Director shall be considered to have played an Ineligible Player, and is subject to the sanctions defined for having an Ineligible Player participate in the game defined above. Play short until the injured player may return to the game with the referee’s permission. In accordance with the Laws of the Game, the referee must recognize the player leaving the field and the player entering the field. The substitute can enter the field and become a player after the injured player they are replacing has left the field and the referee has granted the substitute permission to enter the field of play. The player who started the "quarter" is credited with playing the entire quarter. The player is still credited with the entire quarter regardless of the actual time played. And, the substitute replacing the player is NOT credited with any part of this quarter regardless of the actual playing time. If the referee has sent the player off the field for a violation of the Laws of the Game. The Referee shall be the only timekeeper of the game. Schedule the game to be replayed thus nullifying the original game. Continue playing the game at a later date with the score and elapsed time starting as it was when the game was terminated or abandoned. Accept the score of the game at the moment it ended, as the final score. Award both teams a tie. Award one team a win and the other a loss. The Regional Commissioner's decision shall be final. The Region's games schedule is posted on a website which is accessible to all Region participants (Schedules). If games hosted by the Region for a division includes a team or teams from other AYSO Regions within AYSO Section 11 and/or Area Q, then the schedules for these games may be on the AYSO Section 11 and/or AYSO Area Q scheduling website (rather than on Schedules). An Internet website link (URL) to the Schedules, Section 11 schedules and/or Area Q schedules are posted under Schedules on the Region's website (http://www.AYSOsoccer.org). Create, publish and change the Schedules as the Regional Scheduler deems necessary. Delete games from the schedule when a referee is not scheduled for a game per these Regional Guidelines. As a reminder, no games may be played between two (2) teams which are not listed on the Schedules (this does not include scrimmages between teams during practices). All game reschedule requests must be submitted at least three (3) days prior to the day when the game will be played. The Division Commissioner works with all coaches involved in the reschedules to find a suitable, and available, day, time and field for the game(s). The Division Commissioner must receive approvals, in writing (where email is sufficient), from all coaches impacted by the schedule changes. The Division Commissioner will keep all approvals until the season is over. The new game date(s), game time(s), game field(s) and participating teams (if the opponents change). Once the Regional Scheduler changes the Schedules, an email is sent to the coaches informing them of the change (assuming the coach supplied the division commissioner with a valid email account which was input into the Schedules by the Regional Scheduler). The U-9 through U-14 Primary or Core Program divisions are considered competitive divisions since the game results are reported and standings are published. Some of the U-9 through U-14 Core Program divisions may include games against teams from other Regions during a Season in addition to games against the Region's teams. These Rules of Competition apply only to matches played between the Region's teams. Games between teams from different Regions are governed by the Area Q Guidelines. In the absence of Area Q Guidelines governing competition between teams of two or more Regions, the Regions will agree to common operating guidelines (and, for the Region's teams, these mutually agreed guidelines will be included in these Regional Guidelines explicitly or by reference). Standings are determined by Total Points. Teams losing Game Points as a result of player misconduct or coach misbehavior described below will have them deducted from the Region division standings whether or not the misconduct or misbehavior was a game between two (2) Region teams or not. Playoffs which include a Final Game. The determination of the Fall Season regional Winners will be defined by the Determining a Season Winner webpage on the Region's website (with home page at http://www.AYSOsoccer.org). Game make-ups are subject to field availability and at the discretion of the Regional Commissioner or the Scheduler as directed by the Regional Commissioner. No game protests with the exception of ineligible players. 0 Game Points for a loss. No Game Points for goals. No Game Points for shutouts. Teams with players who receive Cautions (yellow cards) will not lose Game Points. Teams will lose one (1) Game Point for the first time a player on their team receives a Send-off (red card). Each subsequent Send-off issued to a player on the team will result in one additional, cumulative Game Point lost (1st one results in 1 Game Point lost, 2nd one results in 2 Game Points lost, 3rd one results in 3 Game Points lost, etc.). Teams lose two (3) Game Points for the first time a coach is dismissed from the field of play by the referee. Each subsequent dismissal issued to a coach on the team will result in one additional, cumulative Game Point lost (1st one results in 3 Game Points lost, 2nd one results in 4 Game Points lost, 3rd one results in 5 Game Points lost, etc.). If teams in the same division play a different number of games, then standings will be determined by the average Total Points per game determined by dividing the Total Points by the number of games played for each team. In the case two teams have the same average Total Points per game, then the team playing more games shall be considered above the other team in the standings. At the end of each day, the coach of either team shall report the game score on the Region’s website. All coaches must report all games so that chances for error in tabulation of statistics can be minimized. If there are two or more teams tied with same number of Total Points (the sum of Game Points and Referee Points) and a winner must be determined, then the following Tie-breaker rules are followed in order until a winner is determined. If three or more teams are tied with the same number of Total Points, then run through the Tie-breaker rules until 1 team is eliminated. Once a team is eliminated from the tie, restart from the beginning again and eliminate a team each time until you are left with only 1 team. Compare the win/loss/draw results between the teams (“head to head” comparison). No other criteria (such as, the goal differential) is considered at this stage – only the results of head-to-head competition. If the head-to-head comparisons do not determine a winner, then continue to the next tie breaker rule. Calculate the goal differential for each game (maximum of a 3 goal differential per game) over all specified regular season games. No adjustments if, for any reason, the teams did not play the same amount of games. The team with the lowest goal differential is eliminated. If they are still tied, then continue to the next tie-breaker rule. Calculate the number of goals allowed per game (maximum of 3 goals allowed per game). If the number of games of all teams is not the same, then only use the lowest goal differential games for the teams which played more games. The team with the most allowed goals is eliminated. If they are still tied, then continue to the next tie-breaker rule. Calculate the number of goals scored (maximum 3 goals scored per game). If the number of games all tied teams is not the same, then only use the highest goal differential games for the teams who played more games. The team with the least scored goals is eliminated. If they are still tied, then continue to the next tie-breaker rule. The Regional Commissioner can, at their sole discretion, decide to either perform a coin flip or arrange to have a certified, authorized Referee conduct Kicks from the Penalty Mark (KFTPM) according to the Laws of the Game to determine a winner. The results of either the coin flip or KFTPM are final. Each half of the game is thirty-five (35) minutes in length. Substitution Handling is in accordance with Section 16.6., Player Participation and Substitution, defined above. Traditionally, Area Q joins with other Areas in Section 11 to offer FLEX (non-Extra) programs for U-16 and U-19 players. The Region wants U-16 and U-19 players to be given the opportunity to play. As such, the Region supports and agrees to participate in U-16 and U-19 FLEX (non-Extra) Programs offered to it including complying with the associated guidelines. Teams can practice up to two (2) times per week. Each practice session shall not exceed 1 hour and 30 minutes. If a game is played during the week (between Monday and Friday), then the game takes the place of one of the practices (and the coach can hold only 1 practice during the remainder of the week). Except for the coach's and assistant coach's child/children, players are placed on the team in order of receipt of a complete application. The child/children of the coach and assistant coach automatically get a spot on the team. Ideally, the team shall have no more than eighteen (18) players. The coach may request permission from the Regional Commissioner for more than 18 players; yet, players will be added based on receipt of the application. The Regional Board has approved participation in the AYSO Section 11 and/or Area Q All-star program ("All-stars"). Consequently, the Region agrees and accepts the program is governed by guidelines published by AYSO Section 11 and/or Area Q which are published and available to the Region prior to the start of the All-star season. All registered AYSO players in attendance at the beginning of the game, or who arrive prior to the beginning of the second half of the game, shall play at least half (1/2) of the game. AYSO All-star teams practice up to twice a week and each practice session shall not exceed 1 hour and 30 minutes. A game scheduled during the week (Monday through Friday) replaces a practice session (coaches cannot hold both a game and two practices during the week from Monday through Friday). Two (2) games on a weekend (one on Saturday and one on Sunday) shall have no impact on the number of practices during the week. All those persons interested in coaching an All-star team must notify and submit a brief resume of experience "application" to the Regional Coach Administrator or All-star Program Administrator by October 1 of the current year. Coaches must apply to be considered to coach an All-star team each year. The Regional Coach Administrator and/or Regional Commissioner does not, at any time, guarantee or otherwise promise a previous All-star coach will be selected to coach any future All-star teams. The Regional Coach Administrator highly recommends those interested in volunteering for an All-star coaching positions consult with others with whom they would like to coach and submit their application as a "coaching team." The coaching team allows more coaches an opportunity to enjoy the All-star experience in addition to putting together individuals who work well together. Coaching teams shall be limited to two (2) persons. Both individuals on the coaching team shall be subject to the approval of the Selection Committee (defined below). The final selection of coaches for All-star teams shall be made by a Selection Committee consisting of the Regional Coach Administrator, Regional Referee Administrator, Assistant Regional Commissioner (if applicable) and Regional Commissioner. The Selection Committee shall consult with the respective Division Commissioner or decide to include him/her on the Selection Committee. The experience of the coach. And, if applicable, then the cumulative experience of the anticipated or suggested "coaching team" members. Volunteer effort and involvement in the program. AYSO Safe Haven Coaching Certification. Failure to follow Region's policies, guidelines, or bylaws. Failure to follow National, Section, or Area policies, guidelines, or bylaws. Player must be registered with AYSO Region 213 for the current Membership Year as Core Program players prior to participating in any All-star activities including, but not limited to practices and games. The Regional Commissioner, Regional Coach Administrator and Regional All-star Commissioner shall select Evaluators for the AYSO All-star tryouts. Coaches shall not be allowed to evaluate at the tryouts for their team. AYSO All-star tryouts are scheduled in October and/or November for play during the Winter/All-star Season. The Regional Coach Administrator and regional All-star Commissioner shall plan and schedule a minimum of one (1) tryout sessions for players to be evaluated. Each session shall be approximately 90 minutes in duration. If there are two or more sessions, then all sessions will be conducted exactly the same to ensure players who can only attend one of the sessions are rated on the same activities as all players being considered. Coaches may direct their own team’s tryout session. It is strongly recommended coaches use the tryout plan (the drills, small-sided games and full game conditions) presented by the Regional Extra Coordinator to ensure each player can demonstrate his/her skills and abilities to the Evaluators who have been trained to do evaluations based on the execution of this tryout plan. The Evaluators will rate each player using a numbered scale and evaluation criteria specified by the Regional Extra Coordinator. The Evaluators will not cooperate or discuss the player’s ratings with other Evaluators or the coach during and after the tryouts. The Evaluators will strive to generate a wide range of scores based on the skill levels of attendees at the tryout (not against a theoretical standard). Evaluators shall also strive to enter an evaluation score for every category for every attendee. The Evaluators shall turn in their evaluation scoring sheets at the end of each night’s evaluations. Evaluations for the first night will not returned to the Evaluators (once turned in). The evaluation results will be given to an uninterested, independent administrator (such as the Regional Commissioner, Regional Coach Administrator or their designee) upon completion of the tryouts. The independent administrator will compile the data and rank participants. A list of participants in ranked order will be given to the coach. Coaches must select players for the team per the Region’s published guidelines for selection of All-star team players (All-star Selection Guidelines). The All-star Selection Guidelines will be published prior to the first tryout and are incorporated herein when published and approved by the Regional Commissioner. The maximum number of players per team shall be ten (10) for U-9 & U-10 teams; twelve (12) for U-12 teams; and, fifteen (15) for U-14 teams. The Regional Commissioner, or his/her designee, must approve all team members. The Regional Commissioner (and not his/her designee), in his/her sole discretion, may prohibit any player from participation on any AYSO Flex team. A deposit - which is typically the participation fee - confirms a player's commitment to the All-star team. The deposit is non-refundable. For full scholarship players, submitting a commitment letter is equivalent to a deposit. An accepted offer (confirmed by submitting a deposit and/or commitment letter) is an implied contract between the player (and their parents) and the Region represented by the coach. The player is entitled to remain with the team unless removed by the Regional Commissioner. Players can leave the team at any time. A player who leaves the team and is removed from the roster cannot be added back to any roster for the remainder of the current Membership Year unless approved by the Regional Commissioner. A Regional Disciplinary Review Board is required for a player to be removed from the AYSO Extra program. The Regional Board has approved participation in the AYSO Section 11 Extra program. Consequently, the Region agrees and accepts the program is governed by guidelines published by AYSO Section 11 which are published and available to the Region prior to the start of the AYSO Extra season. The AYSO Section 11 Extra Program guidelines define play. This section of the Regional Guidelines defines how the Region selects coaches, forms teams and regulates participation in the AYSO Section 11 Extra program. All registered AYSO Extra players in attendance at the beginning of the game, or who arrive prior to the beginning of the second half of the game, shall play at least half (1/2) of the game. The Region's AYSO Extra teams are limited to two (2) practice sessions per week and each practice session shall not exceed 1 hour and 30 minutes. A game scheduled during the week (Monday through Friday) replaces a practice session (coaches cannot hold both a game and two practices during the week from Monday through Friday). Two (2) games on a weekend (one on Saturday and one on Sunday) shall have no impact on the number of practices during the week. Coaches and coaching teams interested in coaching an AYSO Extra team must file their resume (or resumes) with the Regional Coach Administrator prior to February 1 of the proceeding year (such as February 1, 2013 for the 2014 Membership Year). Coaches must apply to coach an AYSO Extra team each year. The Regional Coach Administrator and/or Regional Commissioner does not, any time, guarantee or otherwise promise a current coach will coach a team the following Membership Year. Player must be registered with AYSO Region 213 for the current Membership Year as AYSO Extra players prior to participating in any AYSO activities including, but not limited to practices and games. The Regional Commissioner, Regional Coach Administrator and Regional AYSO Extra Commissioner shall select Evaluators for the AYSO Flex Program tryouts. Coaches shall not be allowed to evaluate at the tryouts for their team. AYSO Extra tryouts are scheduled in February and/or March for play during the following Membership Year. The Regional Coach Administrator and AYSO Flex Commissioner shall plan and schedule a minimum of two tryout sessions for players to be evaluated. Each session shall be approximately 90 minutes in duration. If there are two or more sessions, then all sessions will be conducted exactly the same to ensure players who can only attend one of the sessions are rated on the same activities as all players being considered. Coaches may direct their own team’s tryout session. It is strongly recommended coaches use the tryout plan (the drills, small-sided games and full game conditions) presented by the Regional Extra Coordinator to ensure each player can demonstrate his/her skills and abilities to the Evaluators who have been trained to do evaluations based on the execution of this tryout plan. Coaches must select players for the team per the Region’s published guidelines for selection of AYSO Extra team players (AYSO Extra Selection Guidelines). The AYSO Extra Selection Guidelines will be published prior to the first tryout and are incorporated herein when published and approved by the Regional Commissioner. Maximum number of players per team shall be ten (10) for U-9 & U-10 teams; twelve (12) for U-11 teams (for MY2013); fifteen (15) for U-12, U-13 and U-14 teams; and, eighteen (18) for U-16 teams. A deposit - which is typically the registration fee - confirms a player's commitment to the AYSO Extra team. The deposit is non-refundable. For full scholarship players, submitting the player application is equivalent to a deposit. An accepted offer (confirmed by submitting a deposit) is an implied contract between the player (and their parents) and the Region represented by the coach. The player is entitled to remain with the team unless removed by the Regional Commissioner. With the exception of the goal keeper who, in accordance with the Laws of the Game, may stay on the field and continue to play with the Referee’s permission. For example, if Team A was playing Team B and the reschedule means Team A will play Team C while Team B will play Team D.
 See the Referee Point System for a definition of: a certified, authorized Referee. Approved by the Regional commissioner and the Regional Board on _ May 2013.